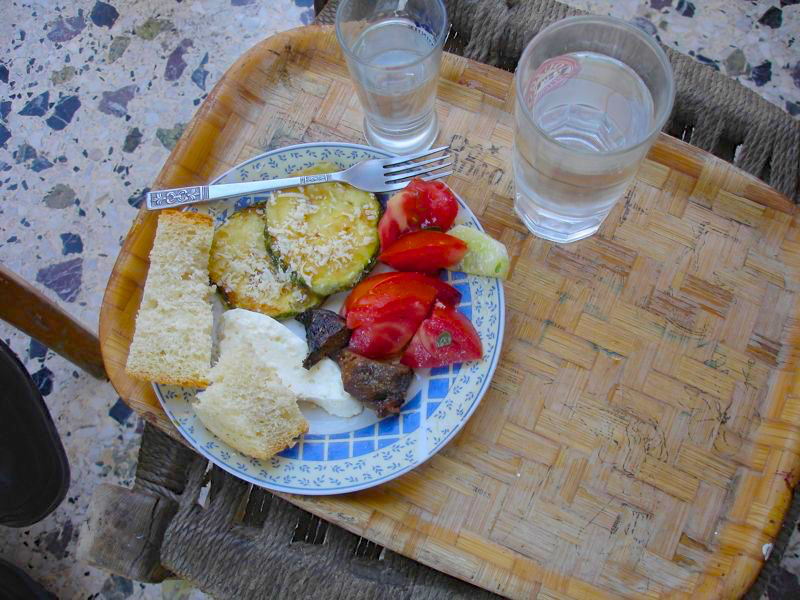 A typical meze plate from Aglaia's in the remote village of Xidira. When you order ouzo at the traditional cafeneons they give you food with it. As long as you keep buying ouzo you will keep getting more food. At Aglaia's as in many cafeneons and restautants in the villages of Lesvos everything you eat they have grown.